At Gray-Nicolls, the most well known bat making company in the world they emphasise the fusion of traditional bat making with supreme innovation. Gray Nicolls believe that one does not necessarily have to let go of the past to move on to the future. With this, every product that Gray Nicolls create is an amalgamation traditional fundamentals and futuristic approaches. There is no wonder why since 1855, the company is one of the most trusted names in the world of cricket. While they have a wide array of products, they are well-known for the Gray-Nicolls cricket bats. Known as a popular choice amongst international cricketers, their bats are handcrafted using the finest materials that are available. One thing that makes the company unique compared to the competition is that they grow their own English Willow, which, in turn, is used as the main material in the production of their bats. Gray-Nicolls uses Salix Caurulea willow. Nearly a century ago, the company started a willow replenishment program that allowed them to grow the materials that they are using. After unloading the wood, it is stripped, marked, and split. It is then dried for at least six weeks in specially regulated chambers at their factory in Robertsbridge, which will help to eliminate the high content of moisture. From this, it undergoes a meticulous process of stripping, binding, finishing, and labelling. Human intervention is apparent in every step of production. Even sticking the labels is a job done by their skilled craftsmen. With this, you can be assured that attention is given to every detail. On top of it, they have rigorous tests to make sure that once the bats exit their manufacturing facility, it is in its peak condition. The company has a wide selection of iconic bats, although they have been recently replaced with newer models that were meant to satisfy the changing needs of demanding cricketers. Some of their most powerful bats in the past include Powerspot, used by David Gower, Maverick LE, used by Andrew Strauss, Predator, used by Mark Ramprakash, Excalibur, used by Michael Atherton, and Powerbow LE, used by Shivnarine Chanderpaul. 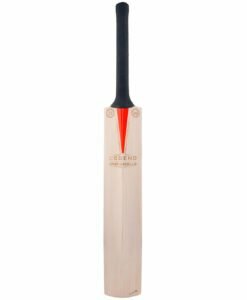 When it comes to Gray-Nicolls cricket bats, one of the most popular is the Grey Nicolls Legend Cricket Bat. Many of you might be instantly discouraged because of its steep price. However, if you take a look at its design and technologies, you will realize that every cent will be worth it. The low blade and exceptional edge profile are just some of the features that gives this bat a distinction. It has a semi-oval handle, which is ergonomically-shaped to provide users with complete control while also promoting the highest level of comfort. The Zone Pro Grip is also an excellent feature, providing you with a powerful hold of the bat. Another option you might want to consider is Gray-Nicolls Kaboom 31. Used by David Warner, this is made specifically for powerful batsmen. Among its features, one of the best is the Chevron grip, which is perfectly complemented by the semi-oval handle. These will make it easier for you to hold the bat and provide you with greater control in every swing. The Velocity XP1 Limited Edition Cricket Bat is another product that scares most people because of its hefty price tag. As it is expensive, you can expect nothing but premium quality, making it hard to rival. From the blade to the grip, it sports a ground-breaking design. It has a contoured profile, which can be beneficial in terms of control and stability. 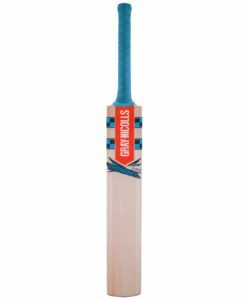 It also has mid to low blade, which is specifically recommended from front-foot cricketers. 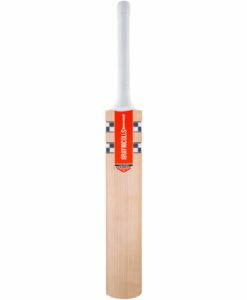 For the most judicious player who would rather spend a lot than compromise functionality, Gray-Nicolls Legend Bat 2018 is one of the top choices. It is one of the favorites not only from the company’s product line, but within the competitive landscape. It is hand-crafted and laser-etched with the company’s logo. The branded leather handle provides it with a luxurious feel without sacrificing functionality. It has concave sculpt ing, natural blade finish, and new Zone Pro grip. Are you looking for Gray-Nicolls cricket bats? We are here to extend a helping hand. Browse through our wide selection of products, which are all available at insane prices. We even offer discounts to make them more affordable for all buyers!